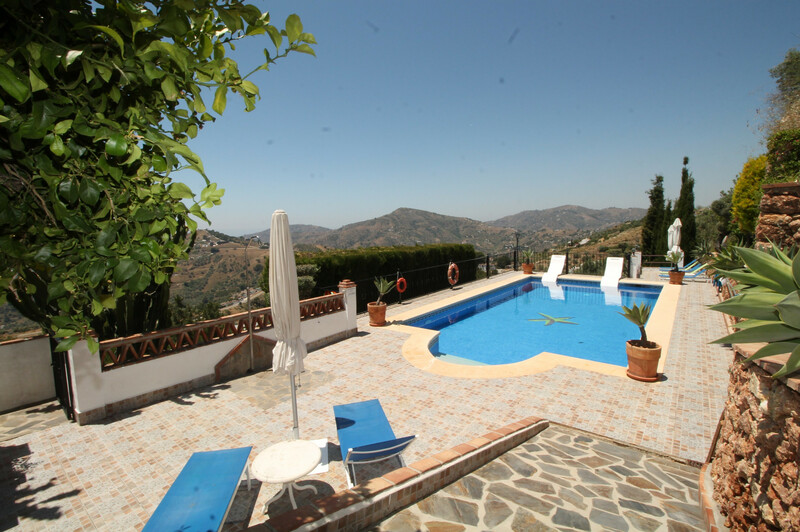 Cortijo El Niño is an amazing, attractive and spacious 6 bedroom villa, located approximately 4 km north of the pretty hillside village of Frigiliana. 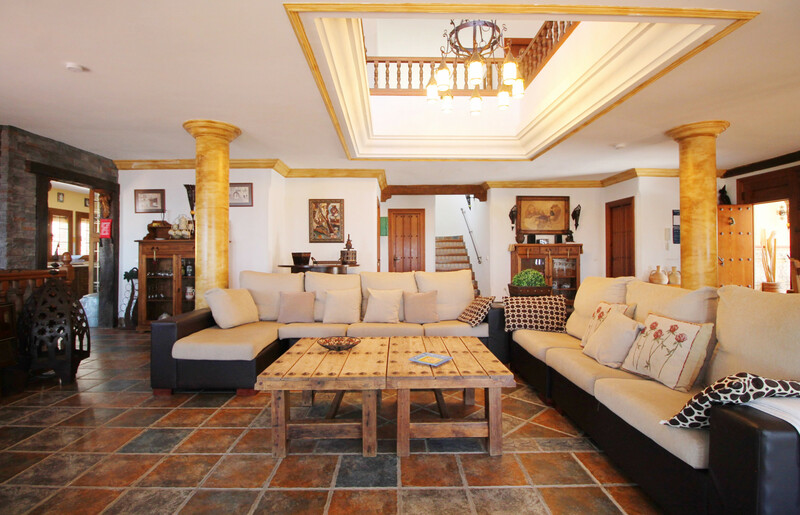 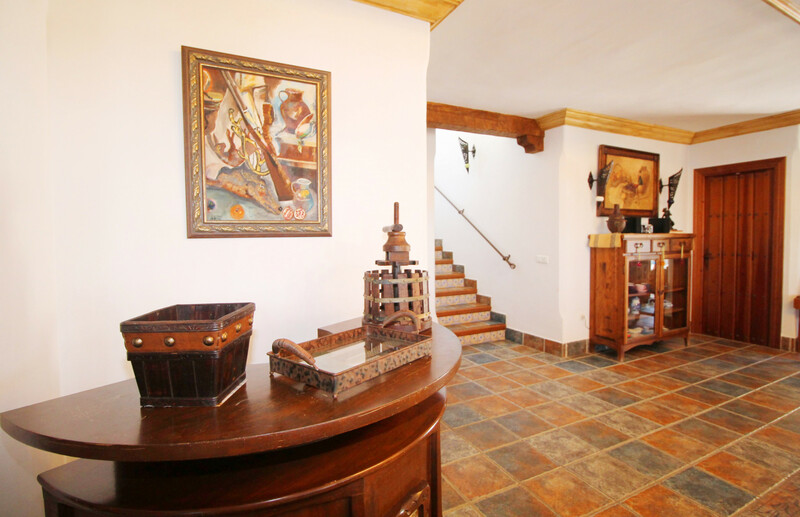 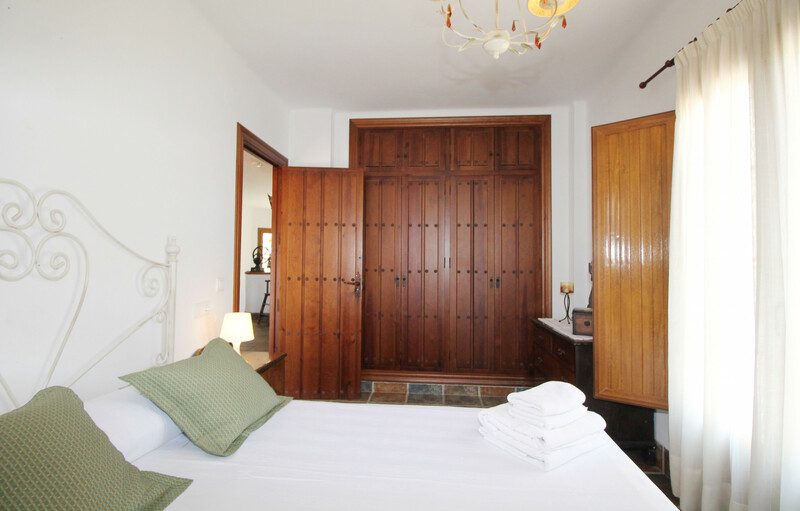 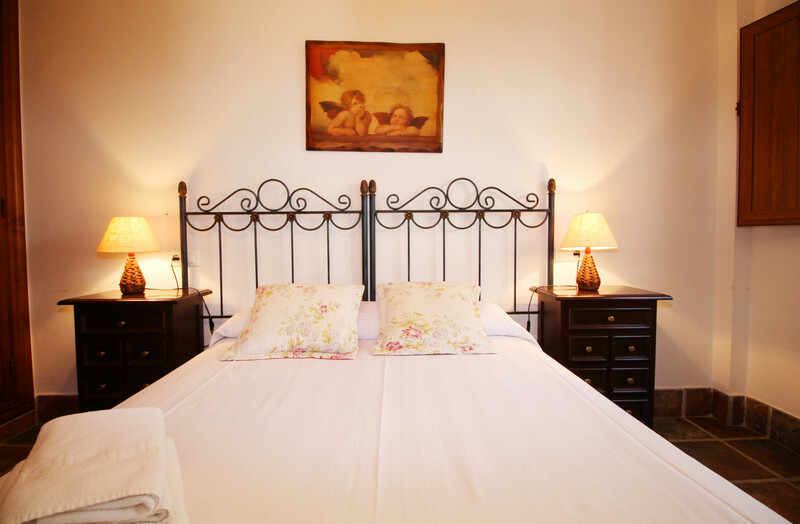 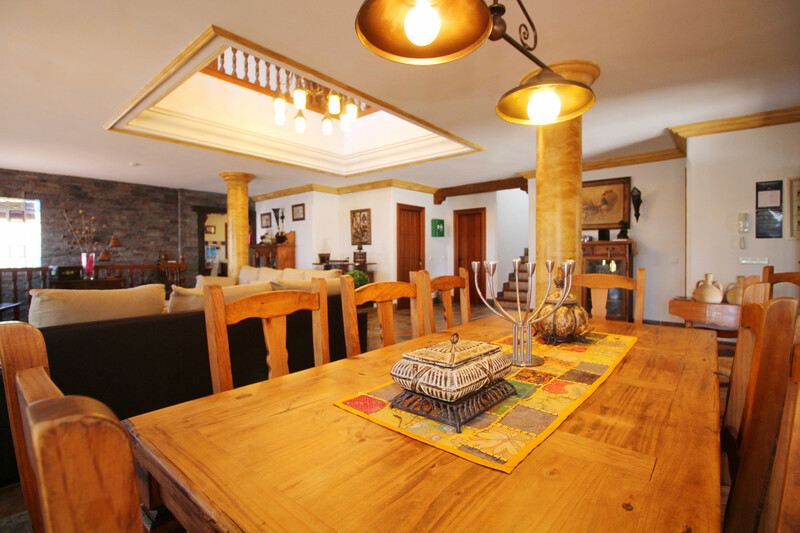 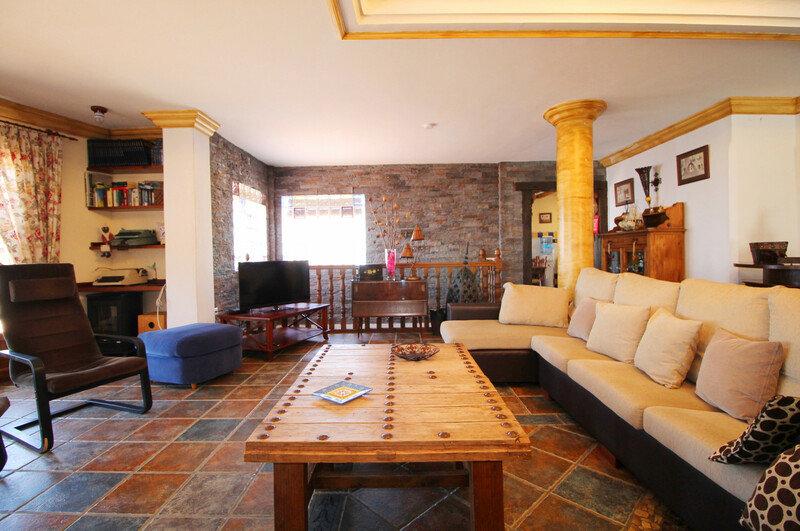 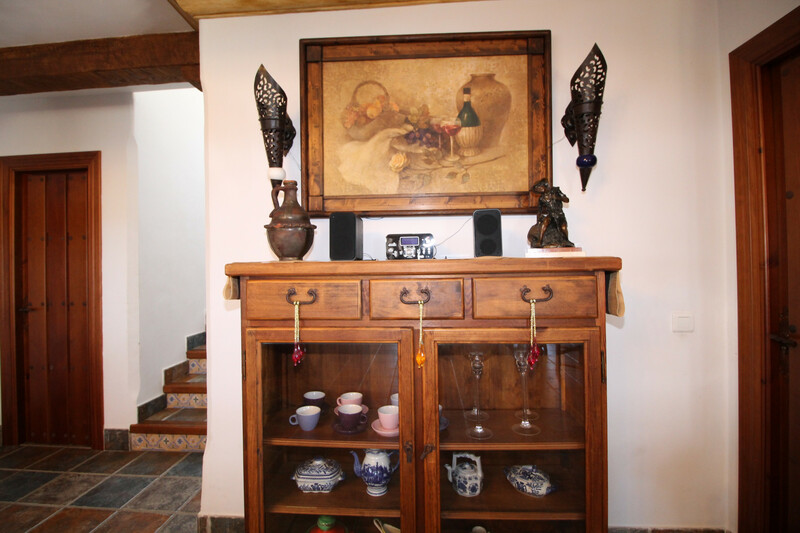 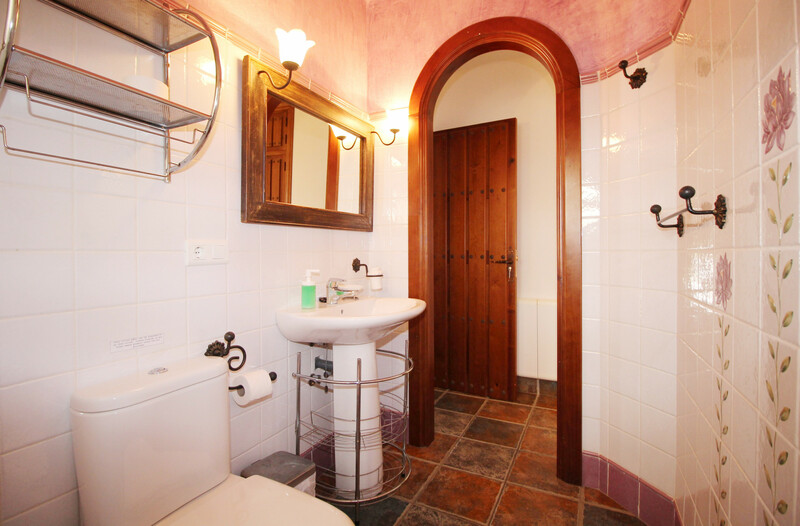 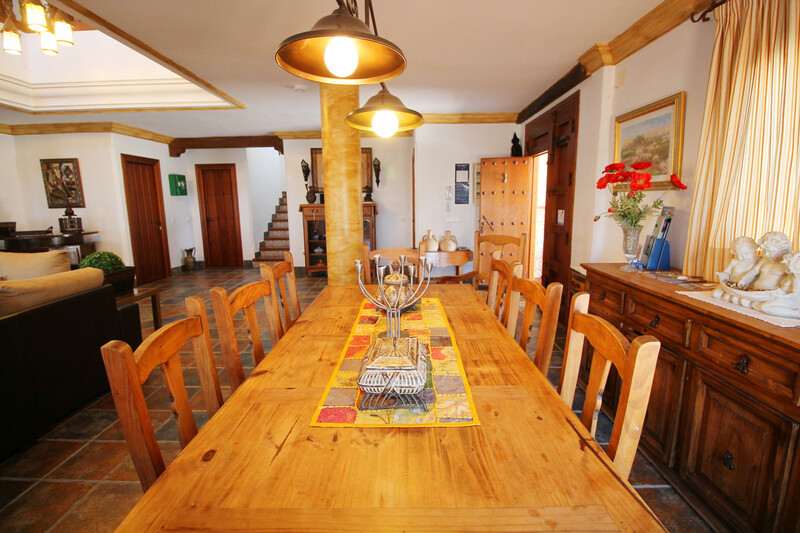 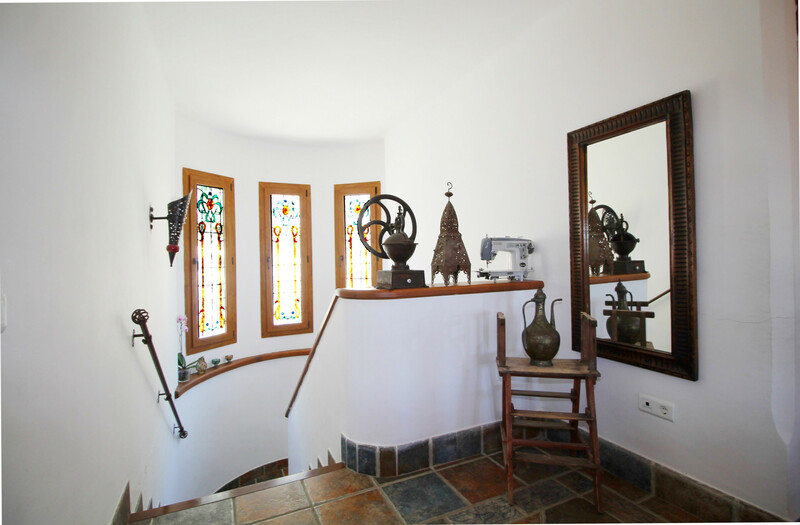 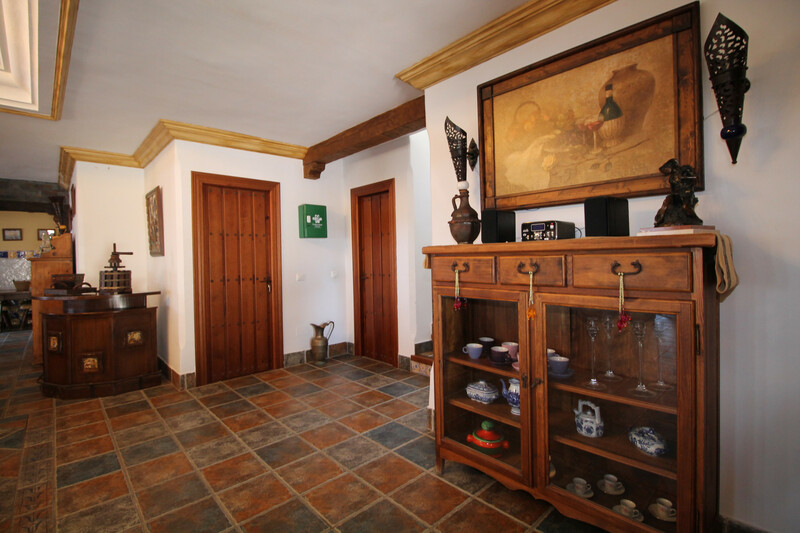 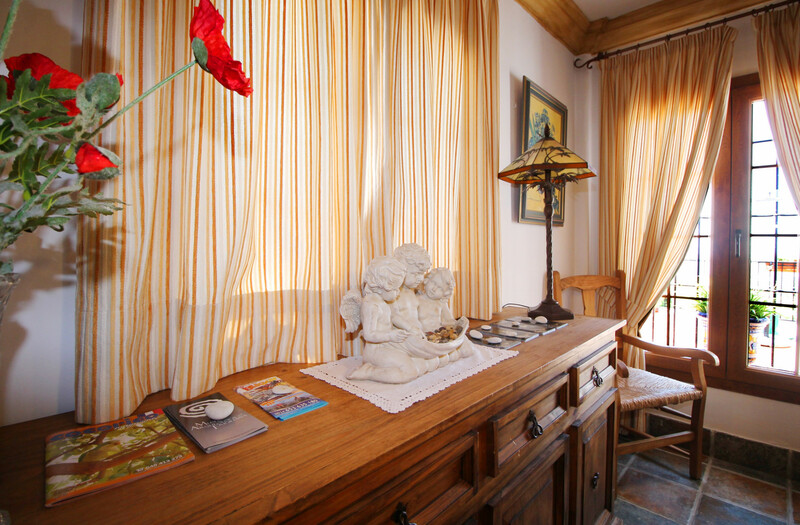 The property has three double bedrooms, three twin bedrooms and four bathrooms with capacity for 12 guests. 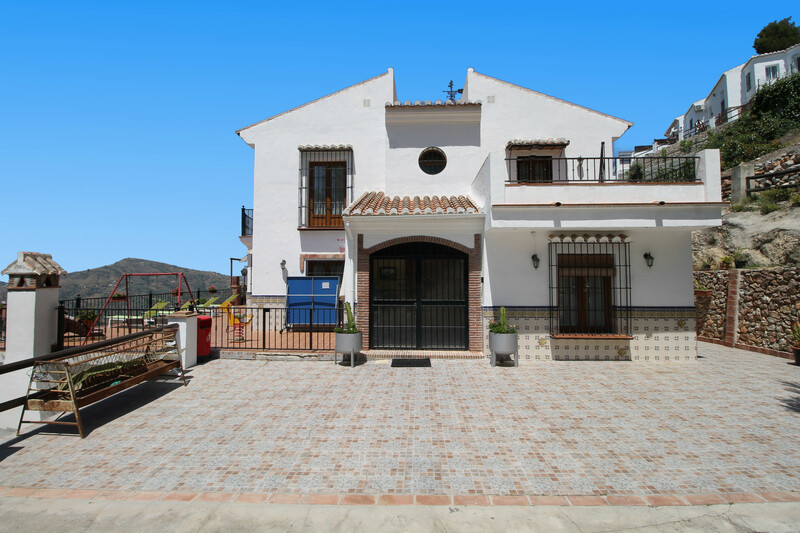 This really is a beautiful and imposing villa with a large private pool and attractive sun terraces, set in an elevated, rural, but not remote, location with fabulous, panoramic views of the surrounding countryside and the sea and mountains in the distance. 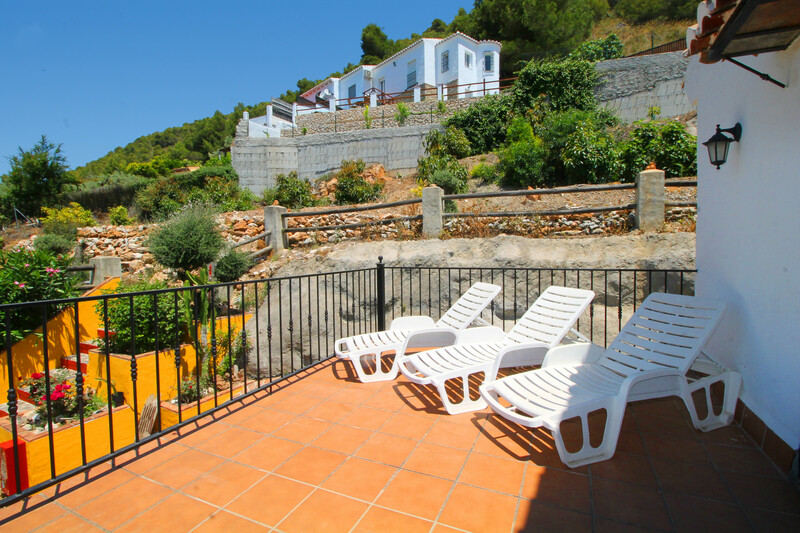 Although a hire car is highly recommended for visitors staying here, the distance from the village and to the beaches in Nerja is not too far, and well worth the effort for the fabulous setting that you will enjoy here. 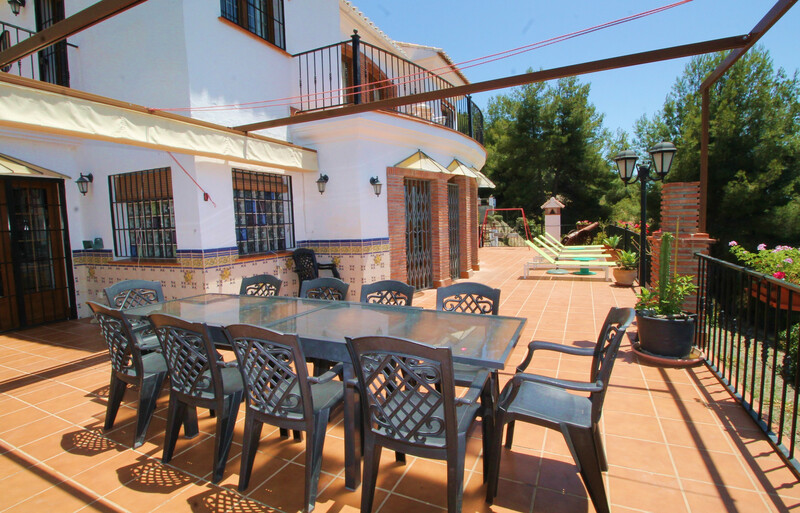 Outside:	Large private swimming pool, balcony with sun beds and patio furniture, large garden area and terrace with sun beds, barbecue, private parking area. 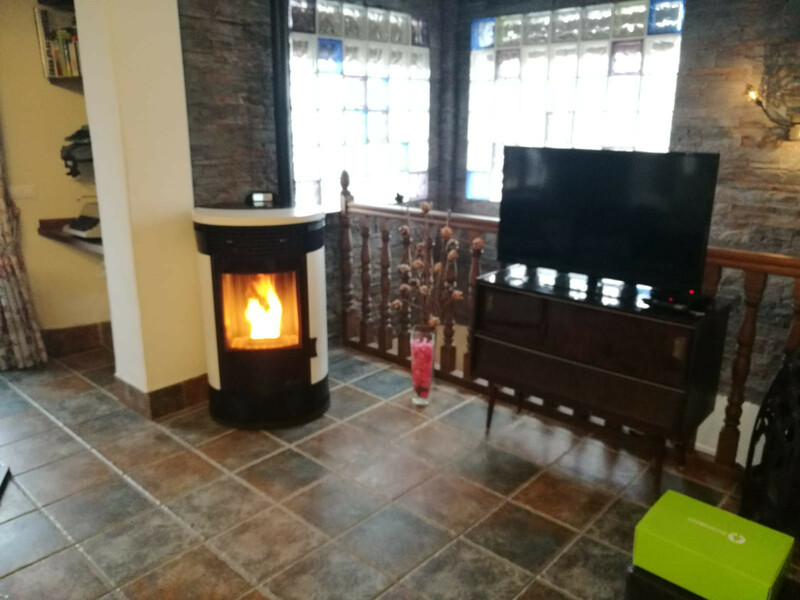 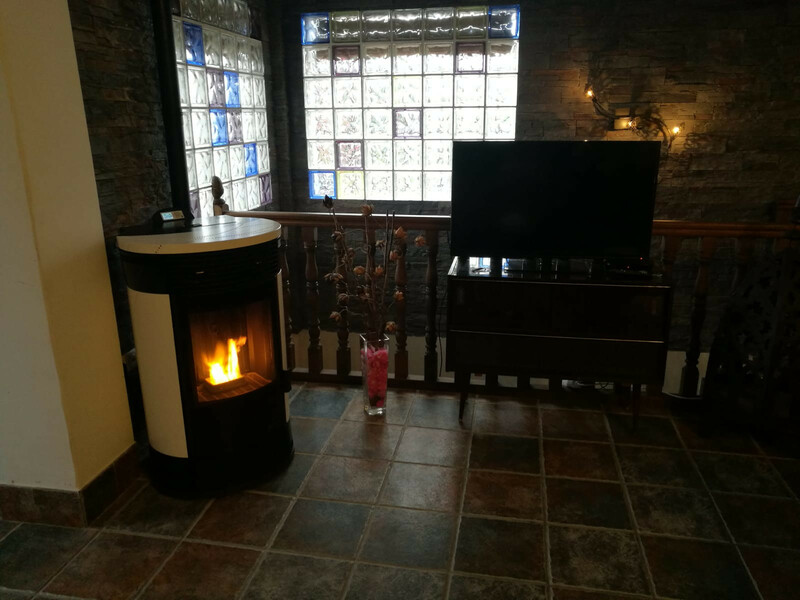 Inside:	Internet (Wi-Fi), fireplace, iron, hair dryer, TV with satellite channels (Spanish, English, German, French), safe, cots and high chairs. 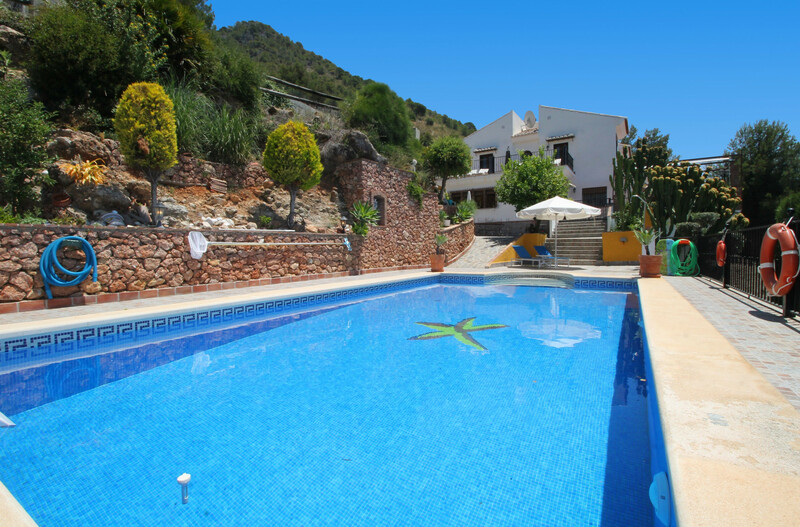 The swimming pool at this villa is a generous size and measures 10.5 meters x 5.5 meters with a depth of 1.24 metres at the shallow end and 2.56 metres at the deep end. 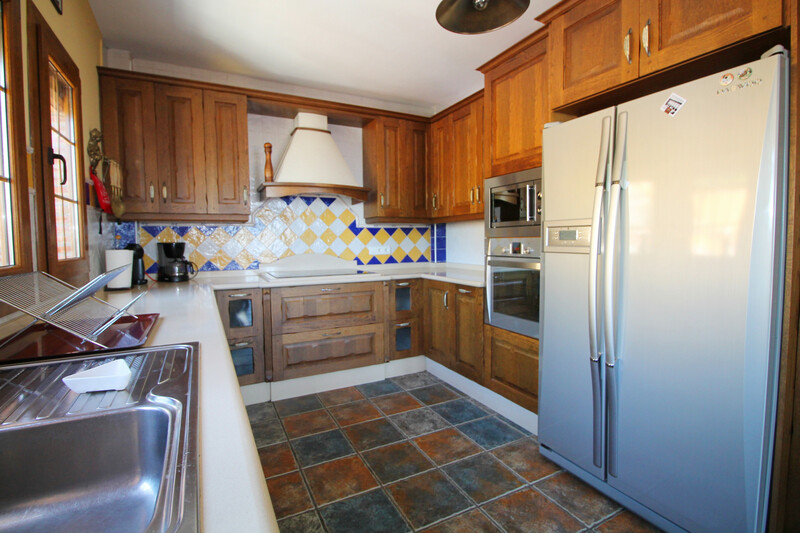 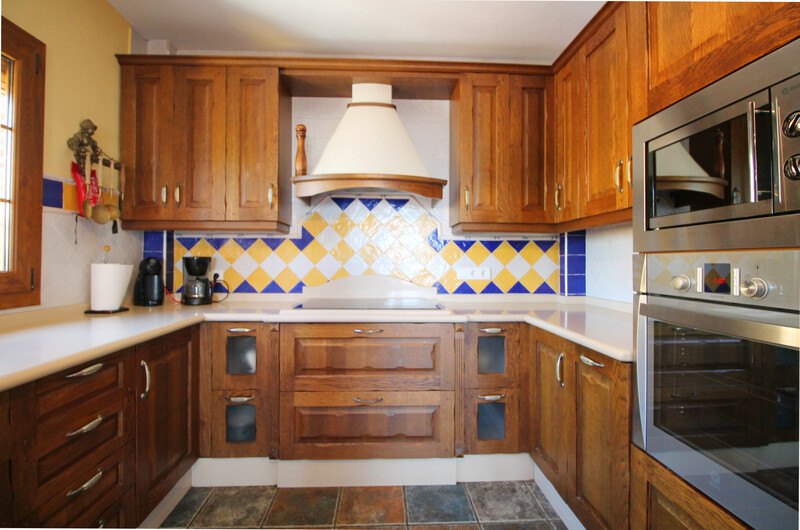 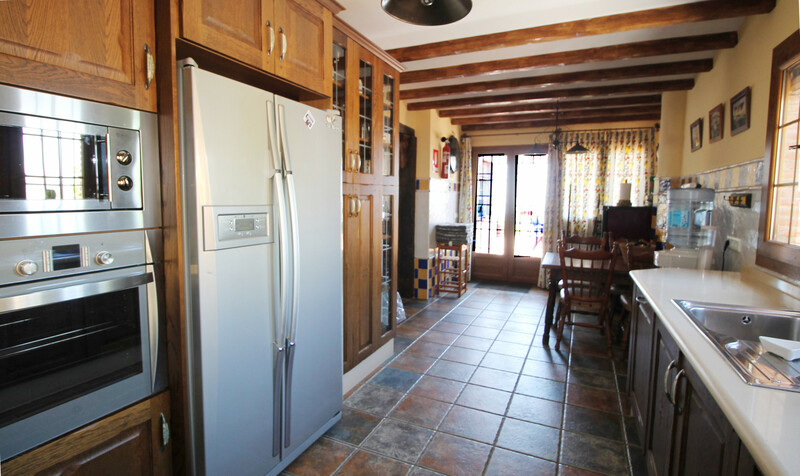 In the large kitchen, the facilities include fridge freezer, microwave, oven, dishwasher, washing machine, dishes/cutlery, kitchen utensils, coffee machine, toaster, kettle and juicer. 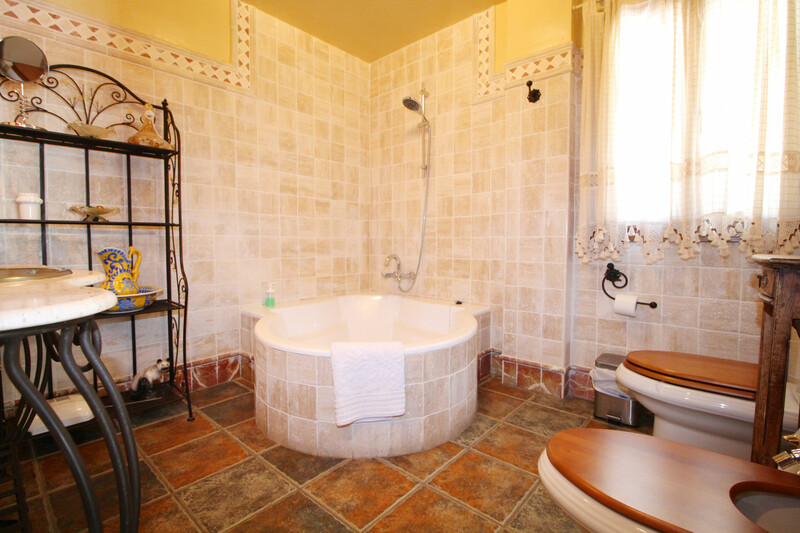 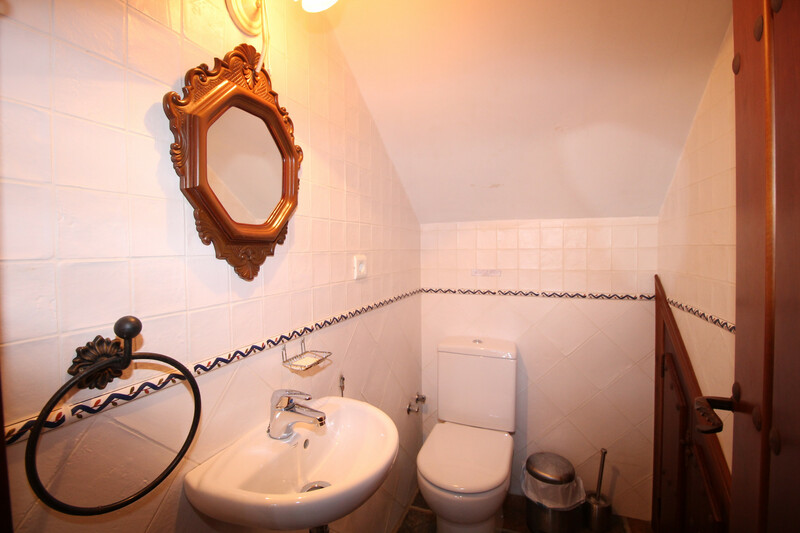 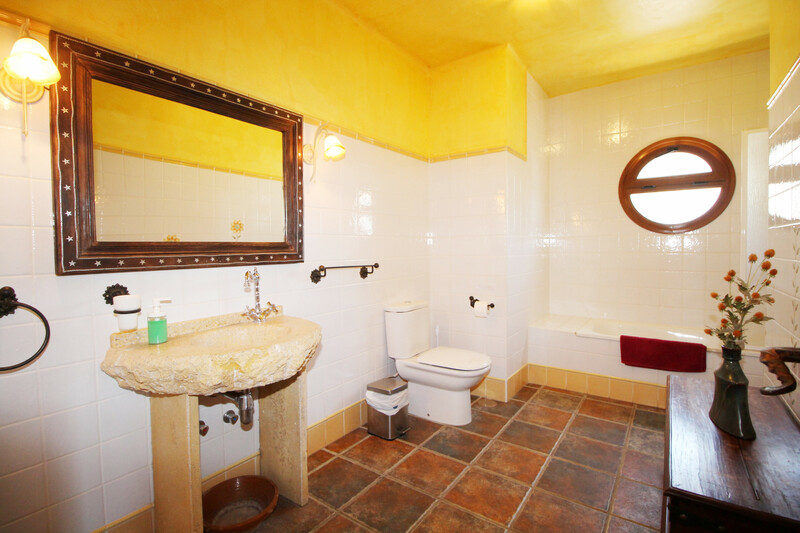 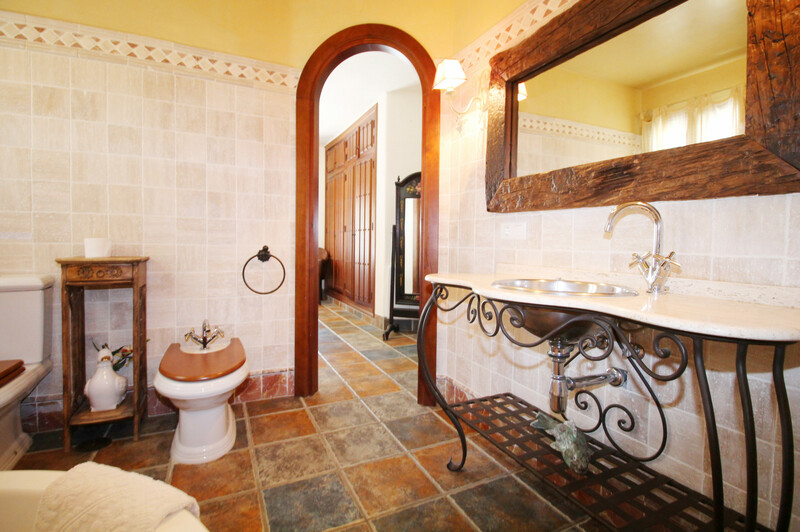 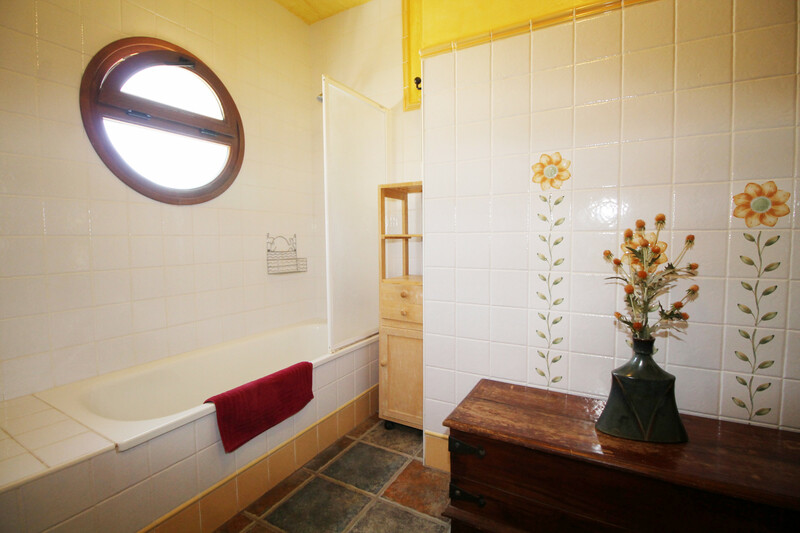 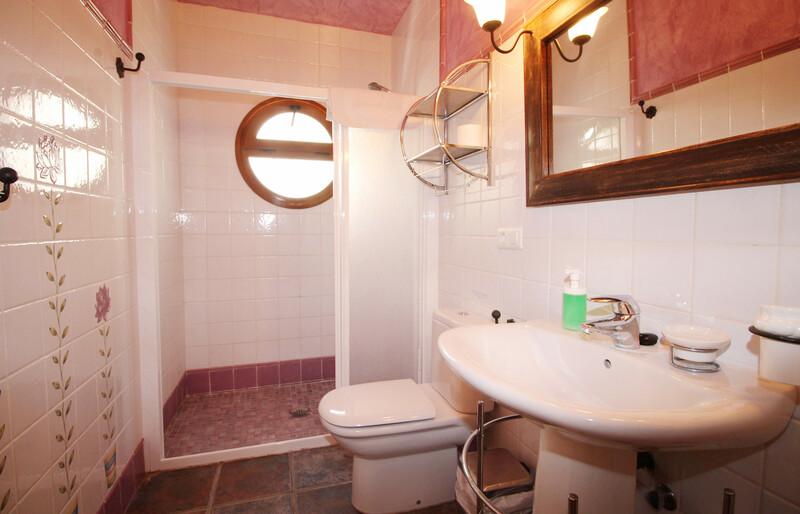 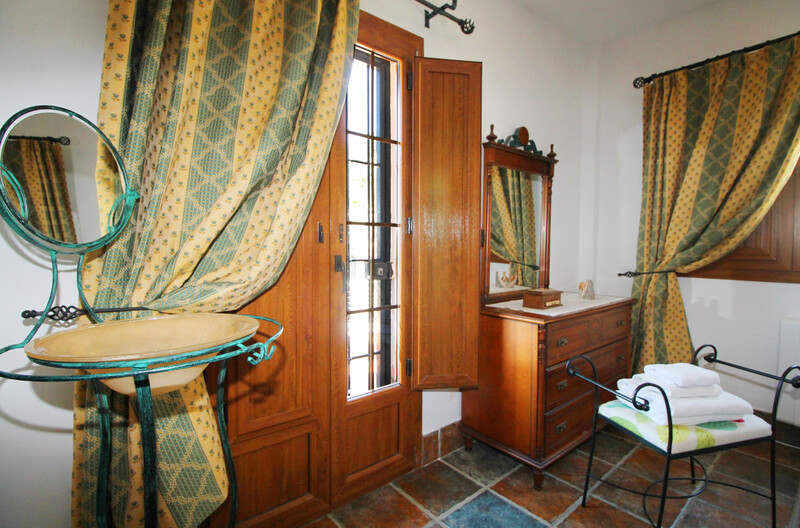 The property has a total of four bathrooms, two with bath/shower and wc and two with shower and wc. 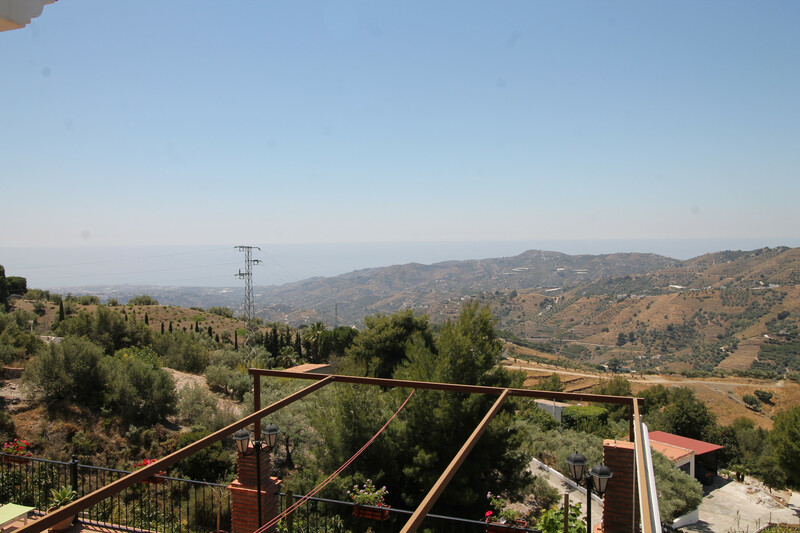 Cortijo El Niño is located 77 km from Malaga airport, 114 km from Granada airport, 4.5 km from Frigiliana bus station, 12.5 km from beautiful Burriana beach and restaurants, 4 km from a local mini supermarket and 10 from Lidl supermarket in Nerja, 4 km from Frigiliana with a great choice of shops, bars and restaurants, 11 km from the famous Balcon de Europa in Nerja, 14 km from the famous Nerja Caves, 31 km from Aquavelis water park, 34 km from Baviera Golf course, 85 km from Tivoli world amusement park/theme park in Benalmadena, 104 km from the world famous Alhambra Palace in Granada. 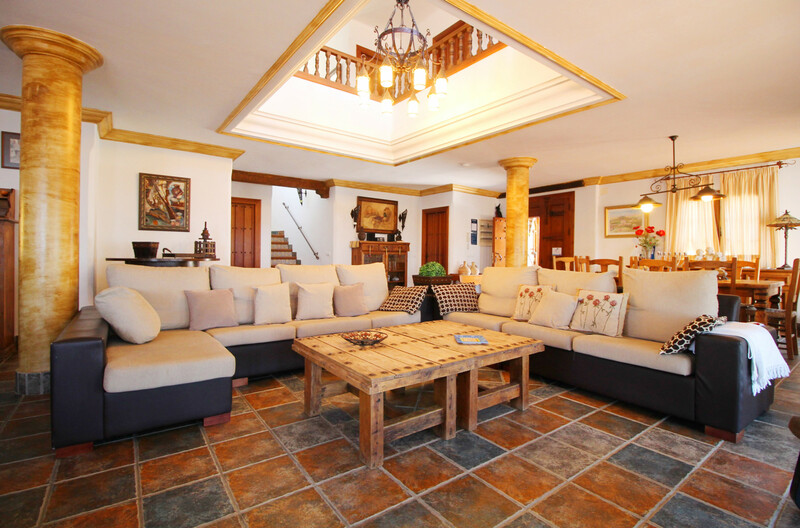 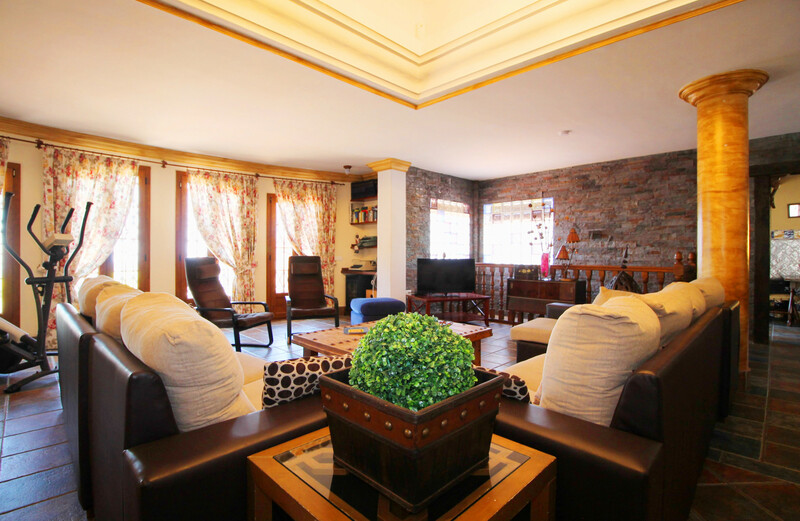 There are very few villas like this one with ample space for up to 12 guests and being so nicely presented. 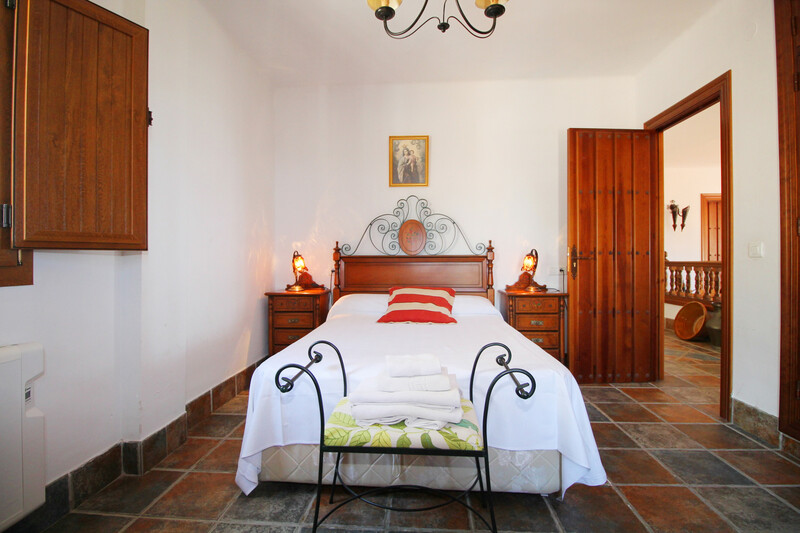 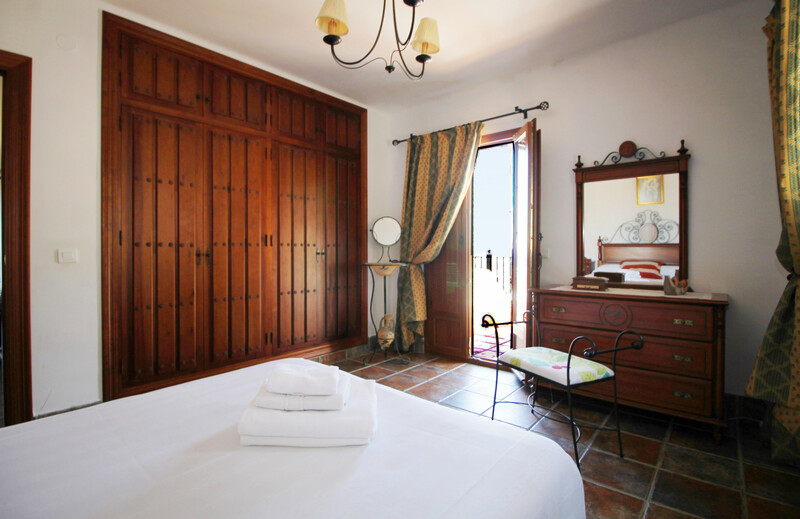 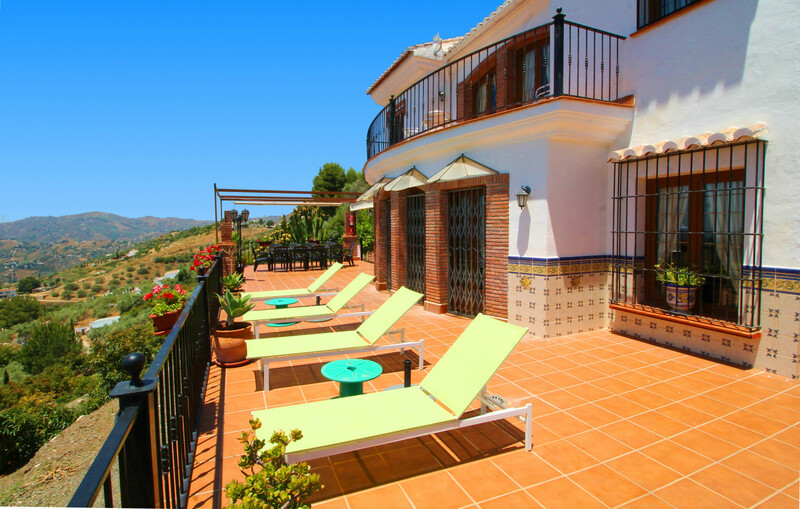 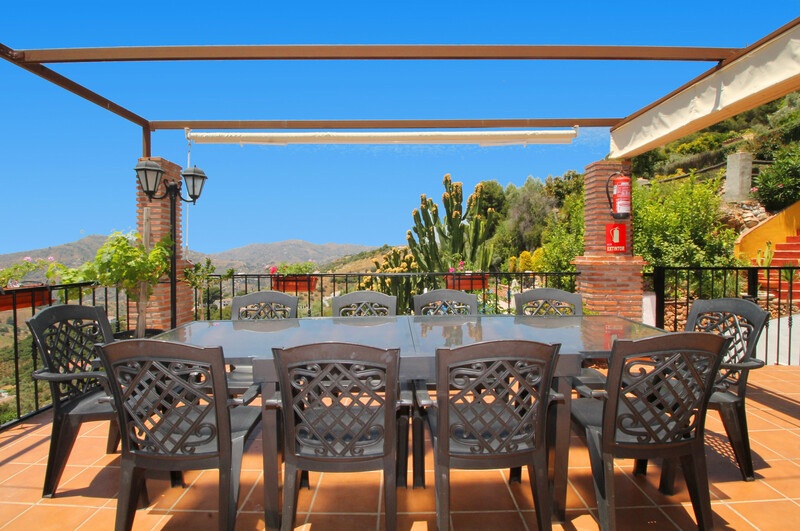 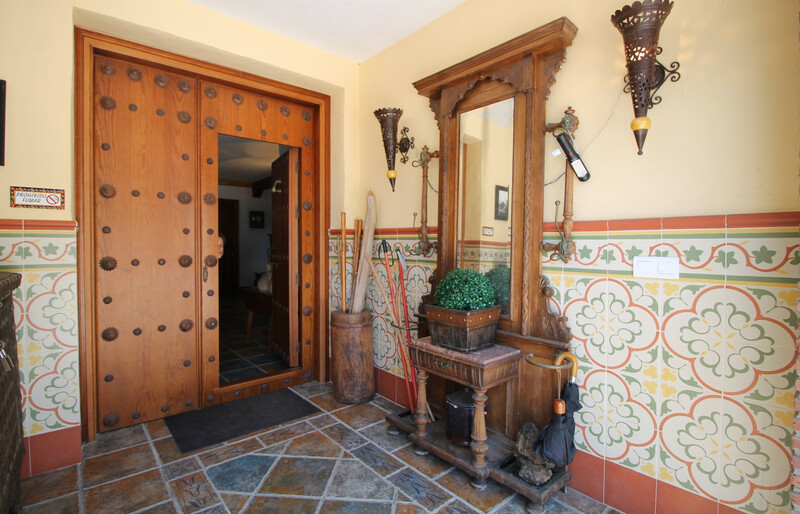 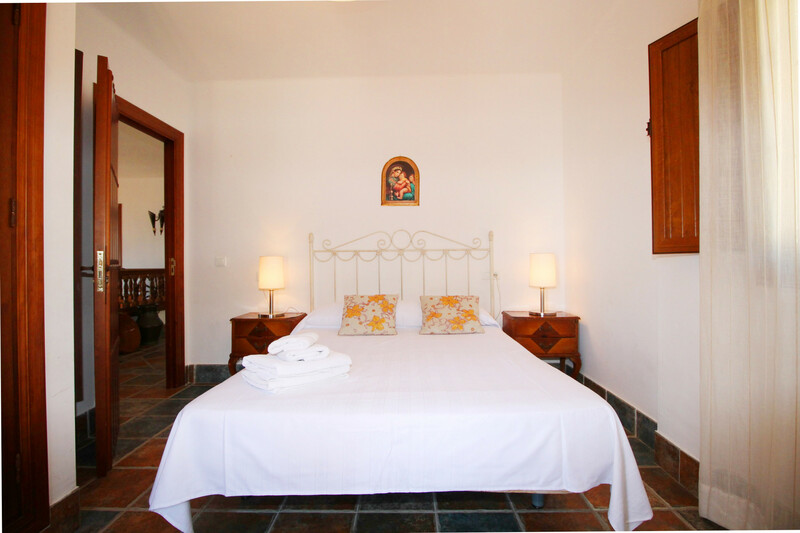 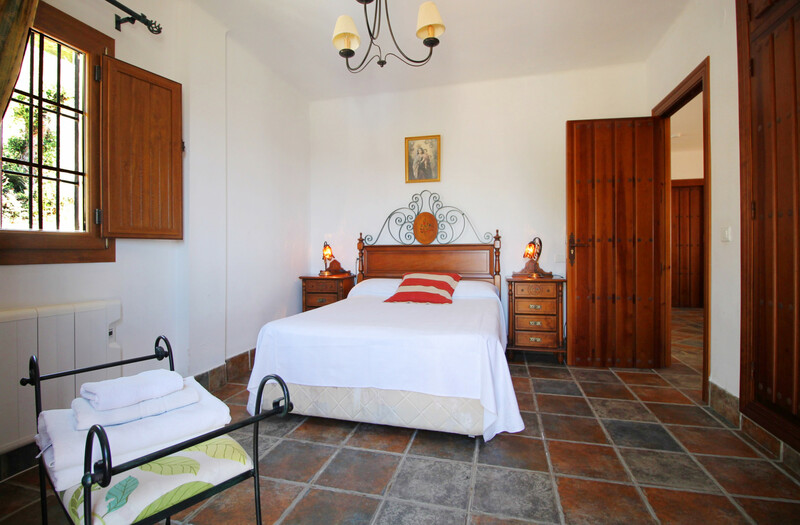 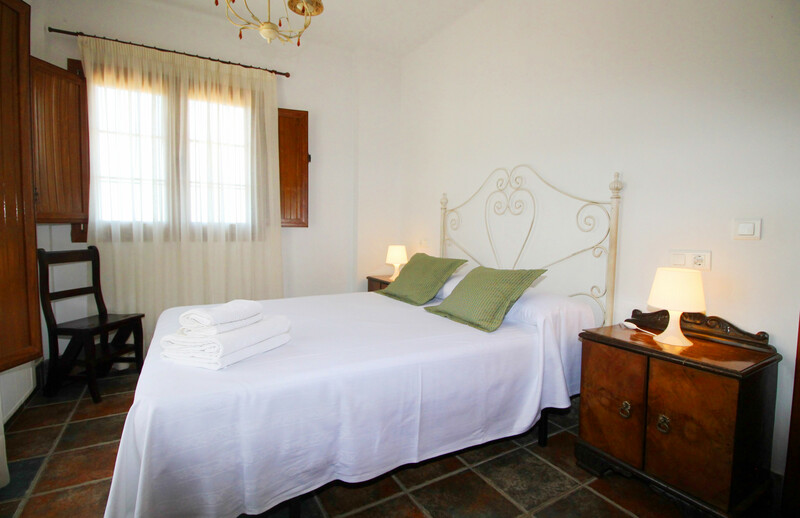 Cortijo El Niño would be a perfect choice for a large family or group of friends to stay together and enjoy an unforgettable Spanish holiday. 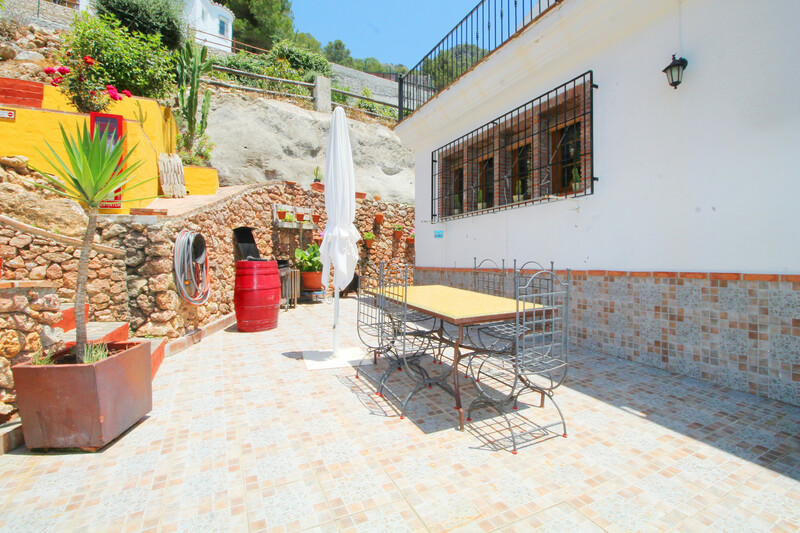 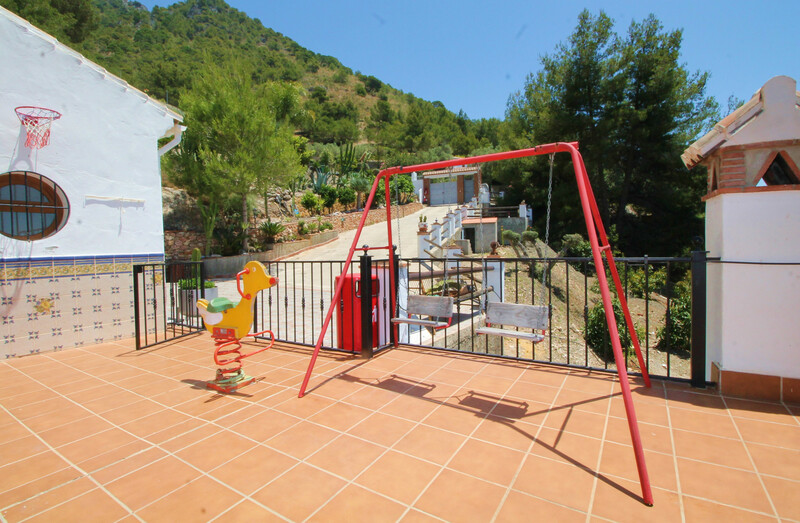 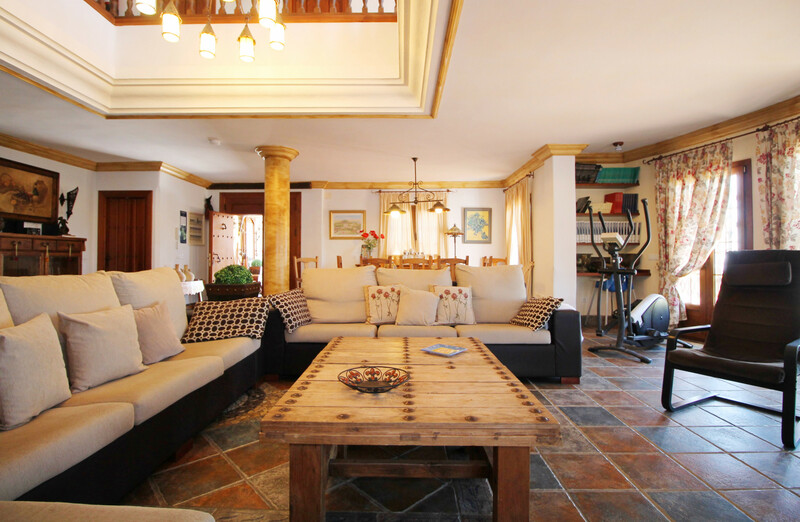 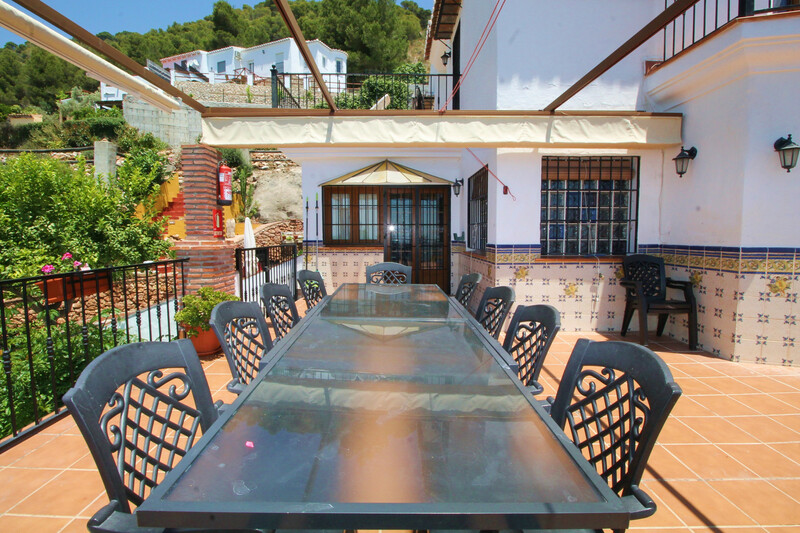 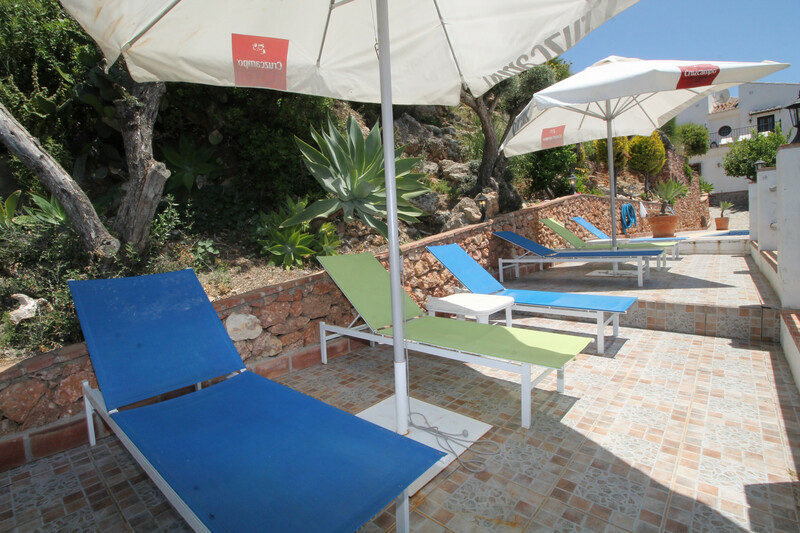 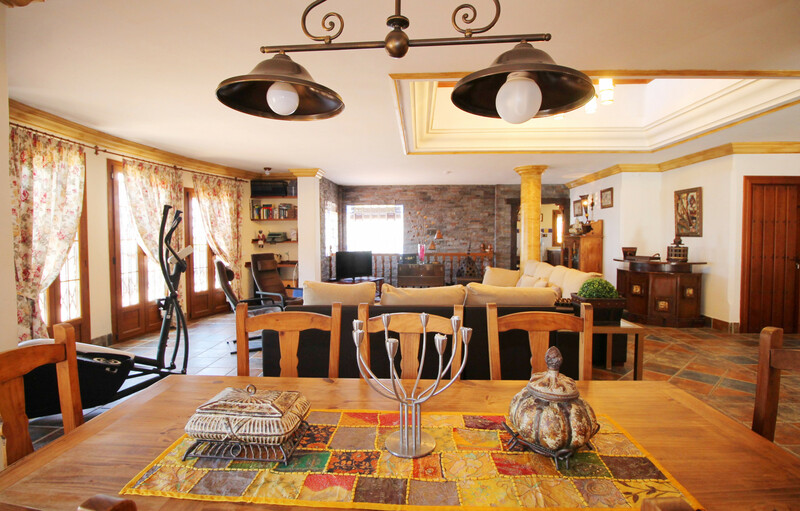 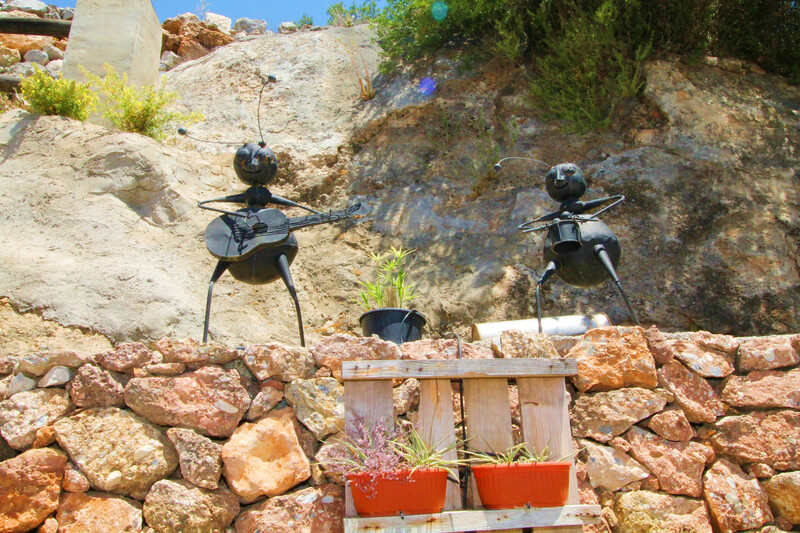 1 TV, TV Satellite (Languages: Spanish, English, German, Dutch, French), garden, garden furniture, fenced garden, terrace, barbecue, fireplace, iron, safe, internet (Wi-Fi), hair dryer, childrens area, 300 m² property, 5,000 m² plot, electric heating, private swimming pool (dimensions 10.50x5.5, max depth 4.1 ft, min depth 8.4 ft, opening date 1/1, closing date 31/12), Open-air parking (3 places) in the same building. 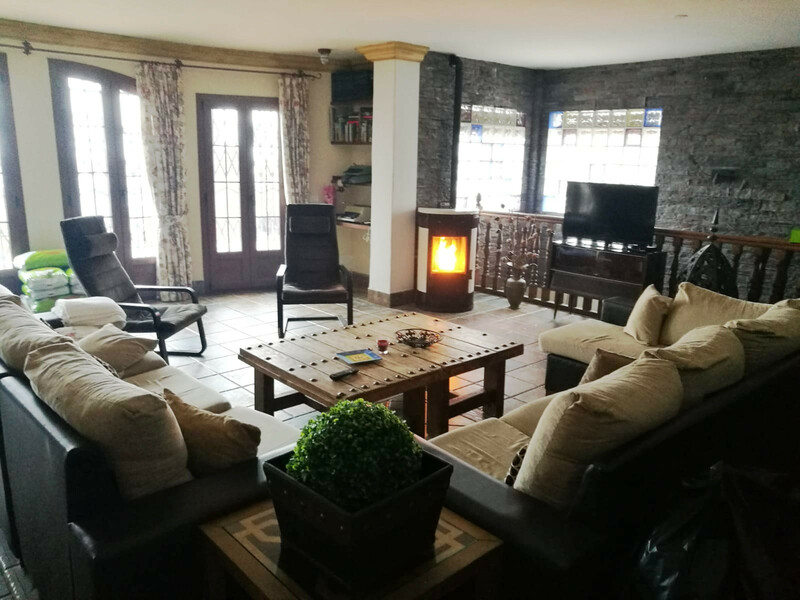 Casa preciosa, ubicada en sitio espectacular con unas vistas magníficas, la recomiendo.